Wouldn’t it be fantastic if your neighbourhood was full of flourishing green spaces, for both you and bees to enjoy? We rely on bees and other pollinating insects for so many plants and crops. But too often we forget they need somewhere to live. We’ve successfully influenced some councils to put pollinators first and adopt local Pollinator Action Plans. Can you ask your council to do the same? Your council plays a vital role in taking care of the local environment – from parks and schools, to roadside verges and roundabouts. With a little care, these spaces can become valuable habitats for pollinators. Did you know there are over 4,000 species of insect in the UK that pollinate our native wild plants and our food crops? These include bees, butterflies and moths, flies, beetles and wasps. 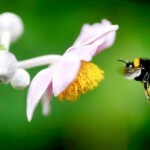 The number of councils putting pollinators first is steadily growing. 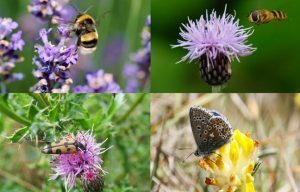 Councils in Cornwall, Dorset and Devon have adopted Pollinator Action Plans – changing how they manage land, reduce pesticide use and plan conservation efforts aimed at helping bees and other pollinators. We want to know what your council could do to help pollinators – and hear about all the great things already happening in your community too. We’ll pass on your ideas to your council over the summer – a prime time for them to take action while most of our pollinators are out and about. Add your name to the call for a local Pollinator Action Plan and share your ideas on how your council can make a difference where you live.